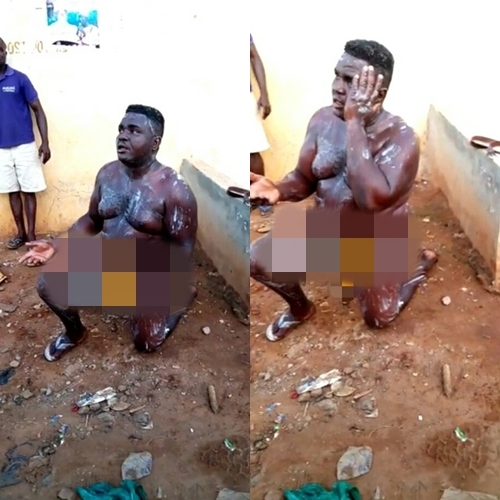 Another day, another weird story from the city of Lagos as yet another young man has been apprehended by residents having his bath in public. 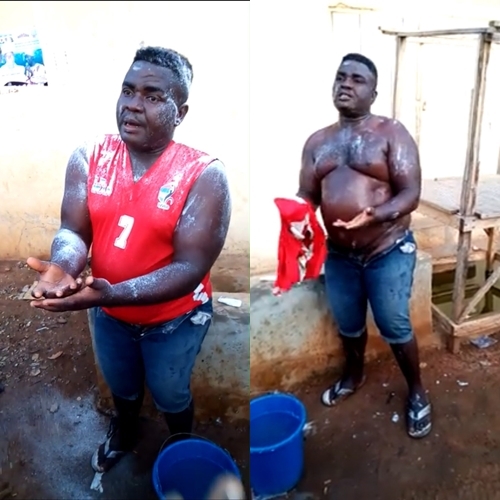 The man whose photo appears above was reportedly seen taking his bath publicly at a popular T-junction in the commercial city of Lagos state in broad daylight. According to reports, he was caught and and almost mobbed by local residents of the area who inquired why he was into such a barbaric act. 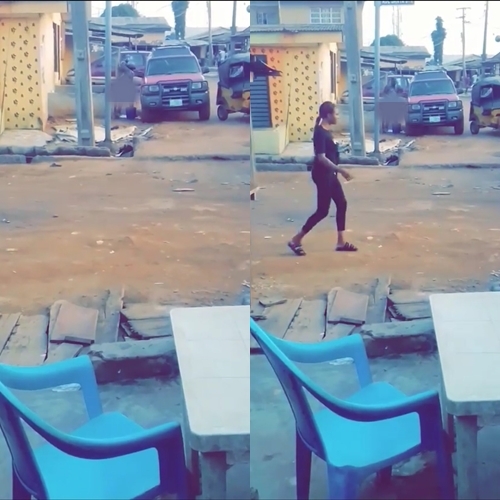 The young man who reportedly parked his SUV before stripping to have his bath in public, was later seen begging for mercy after being caught by the residents. Whether he was later lynched, handed over to security operatives, or even the motive behind his weird act, it wasnt made known.